A few years ago, I began to notice that certain bottles of bourbon and rye whiskey featured loosely related, high-end, and distinctly recognizable labels. Think WhistlePig, Blood Oath, Jos. A. Magnus, Stoll & Wolfe, and reboots of Yellowstone, George Dickel, and Ezra Brooks. “Wow,” I thought. “Who is behind this growing array of premium packaging?” The embossed labels were dramatic, beautiful, timeless. I would have never picked up bottles of Ezra Brooks or Minor Case Rye had the labels not caught my eye and drawn me in. Thus, I discovered David Cole, the Seattle, Washington-based graphic designer behind dozens of food and beverage labels, packages, and glass bottles. David primarily partners with distillers, brewers, and specialty food makers, but he has done lots of work with confectioners, bakers, wine makers, coffee roasters, makers of cosmetics, premium retail goods, chefs and restauranteurs. Q: Recognizing that you have to keep some projects quiet, what are you working on right now for whiskey clients? A: I’m excited about a lot of things, at the moment. First is the launch or Ezra Brooks Barrel Strength. A week ago, I couldn’t have mentioned this, but they just announced it publicly so I can name it. I’m excited to try the bourbon, to be sure. But, of course, I’m also eager to see the packaging in its final state. It’s an elegantly-shaped, custom-molded bottle with raised lettering and a custom monogram design in the base of the glass. We pulled out all the stops in making the label as deluxe as the 7-years aged, barrel-strength whiskey promises to be. Also in bourbon is a new (first-ever) release from Jamie Boudreau, who is famous for his expansive pre-Prohibition whiskey collection. [Just this week, Boudreau released his “Old Boudreau’s Insanely Small Batch Bourbon,” a 12-year-old bourbon finished in Oloroso sherry casks for six months]. A lot of energy was also put into making that one look and feel very premium and I’m eager to get a bottle in my hand and a few ounces in my glass. Woodinville Whiskey Co. is releasing their new Applewood-Finished Straight Rye at the end of this week. That’s sure to be great stuff. They also have something top-secret (and very exciting) bottling in the coming weeks which I’m eager to see, but it isn’t public yet. I’m also anticipating the forthcoming launches of a new look for a well-known grain alcohol, a whiskey-barrel-aged beer and two premium, limited-edition tequilas. But you asked about whiskey so I won’t elaborate. A lot of work - well over a year’s worth of effort - is very near to coming to fruition all this Fall. It’s a very exciting time for me to watch it all come to life. Q: What about the whiskey industry inspires you? What pisses you off? A: On the industry side, I really just love the people. In my eighteen or so years in the design business, I’ve worked with a lot of different kinds of industries and people. Many of them I’m happy to never see again. But the distillers are different. They are almost always down-to-earth, relatable, friendly people. I’m always inspired and impressed with them. Very often, I end up being friends with the people I work with. It’s a real perk. And that includes the guys running the grain mill and the folks in the tasting rooms and marketing departments equally. For some reason, they are all just fantastic. I guess booze just brings good people together. I also very much enjoy the quality and attention to detail that goes into every bottle - inside and out. A good bottle of whiskey feels like so much more than a disposable grocery-store item that’s going to be in the recycle bin next week. It’s a gift. A special occasion. A trophy or a conversation piece. I like that. I like how people get out the good stuff at weddings, birthdays and retirements. They have a special cabinet in their home just for liquor and they hang on to a good bottle for months or years. That’s very satisfying for me, as a person who puts a lot of effort into making each bottle special. Not too much of anything pisses me off. Deception, maybe. I don’t love how words, images and age statements are sometimes clearly being manipulated by producers to deceive the consumer. I’m at the front lines of this battle, of course, and I do everything in my power to keep all labeling on the up and up - not just meeting legal requirements, but truly in the spirit of honesty. Thankfully, my clients tend to feel the same way (if they didn’t I wouldn’t work with them). Authenticity counts for a lot in this industry and they know that. I guess I can think of one regional producer (I won’t say which region) who really plays up the “locally made, hand crafted” language in their PR, while they source truck loads of product from out of state. What kills me is that they intentionally use language and label design trickery to hide that fact. I suppose that pisses me off. It’s not someone I work with, for the record. And I don’t think there’s any shame in sourcing your liquid, by the way. But don’t play up the “local/craft” angle when it just isn’t true. On the other side of the coin, I can’t say that I love how strict some of the TTB’s rules are on the formatting of label text & information. Many things aren’t allowed that I feel should be. Things that are clearly in keeping with the spirit and intent of the law, for the sake of accurate labeling. But rules are rules and they don’t make exceptions. The hoops I have to jump through for them can be a real burden sometimes - and can really degrade my ability to create the best possible graphics. But I guess you have to make rules for the lowest common denominator, so I get it. I just don’t like it. 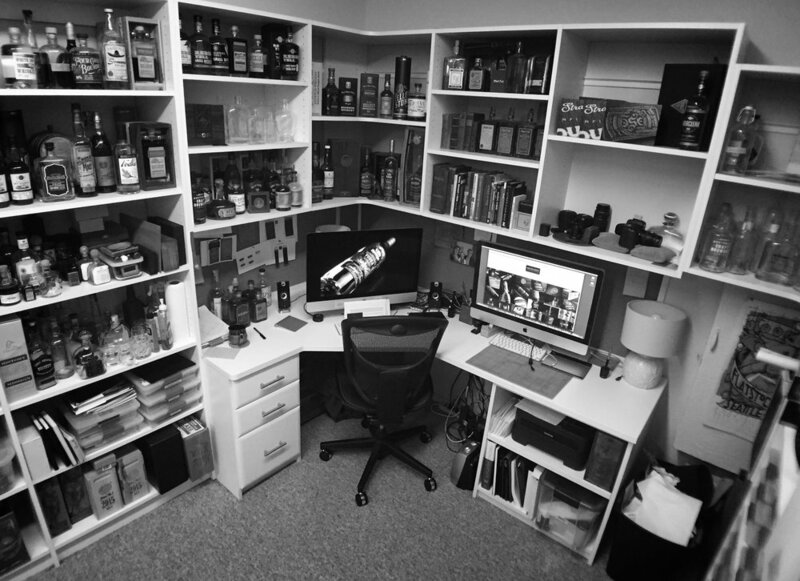 Q: Is the whiskey label/bottle design business still booming? Any worries from your perspective that the market is saturated with: a) craft or sourced whiskeys, or b) whiskeys with your recognizable artwork on the labels? A: I’m not worried about the work slowing down. So far, there has been at least four times the work than what I can keep up with. I know it could happen, but I think the industry is still on the upswing so I’m just going to keep after it. Being a specialist certainly helps. If the craft whiskey boom wanes, all the generalist designers will likely fall off but the dedicated specialist will (hopefully) always be in demand. That’s the plan anyway. And I do mix in select projects from other categories every now and then, just to hedge my bets: Coffee, cigars, beer, wine, tea. If whiskey dries up, I’ll use those to broaden my reach and stay busy. It is a challenge, in my line of work, to stay fresh and stay relevant - to not be repetitive. I think about this a lot. I’m always trying to evolve my craft. And I do strive for “timelessness” - thank you for saying that! Over the years, I’ve observed some older designers who’s portfolios look dated, like they hit their prime during a certain decade, did a killer job during that time, and then got stuck there. I don’t want that to happen to me, so I try to avoid doing anything that’s too trendy at the expense of timelessness. I want my work to still be relevant 10 or 20 years from now. Time will tell. Lucky for me, the “trendy” styles in whiskey design is currently very much influenced by styles established 100 years ago. So you can be trendy and timeless at the same time, to some degree. It’s actually part of why I selected this specialization as a designer. It’s a very comfortable spot for me and I feel like it won’t look dated as quickly as, say, the latest look in web design or energy drinks. That was a conscious and strategic decision for me, with the hope of keeping myself relevant for as long as possible. Q: What else (or who else) are you working on right now? Cigar wrappers? Wine labels? Anything completely unrelated? A: I mentioned some of the other liquor and beer projects, if only vaguely. I have communicated with some cigar producers recently, but have yet to land any work from them. It’s probably just as well, I’m pretty busy with work as it is. I do tend to stick pretty close to my core offering of spirits packaging. Anything else would have to qualify as a “luxury consumable” I guess, if I had to make up a category name. Like the things I mentioned above: cigars, beer, coffee, etc. Call it “luxury vices” maybe. From time to time I do get suckered into doing a pet side project or a spin-off for one of my existing clients. But I try not to. And don’t ever share photos or talk about them because that would dilute my image as a specialist in the area where I’ve chosen to work. A: Well I have a 3-year old so you know that keeps my wife and myself busy. We hike, bike, tend the garden, pick wild berries and hunt for edible mushrooms. For recreation, I spend my personal time mountain biking, skateboarding or surfing - depending on the season or weather. That’s how I exercise and blow off steam to re-charge and get ready for another day/week of intense deadlines. Q: Have you visited any distilleries in a tourist capacity? Any good stories? A: I’ve been to quite a few of the local (Washington State) distilleries. And a handful in Kentucky, of course. I can’t say that I have any good first-hand stories. I’ve just met a lot of great people and sipped a lot of great whiskey. I’ve heard some great stories though. I know one distiller who lost his wedding ring in the grain elevator and they had to disassemble the whole thing to get it out. 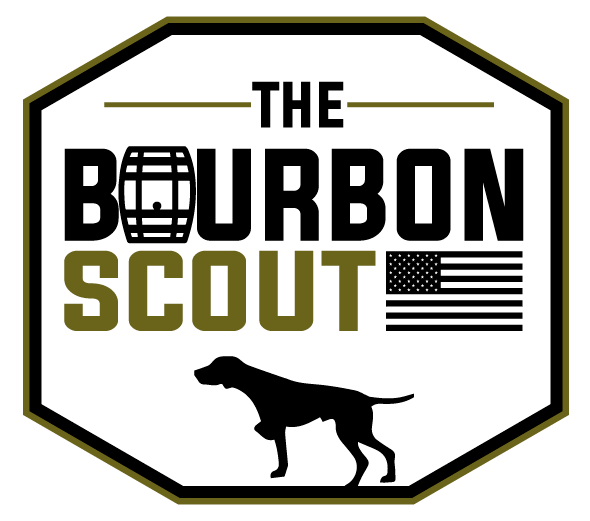 Q: We're deep into society's return to American brown spirits, particularly bourbon and rye. Do you think you've influenced this generation of drinkers? [Not implying that you're done with anything, but] What's your legacy? A: I can’t imagine I’ve influenced anything on such a grand scale as a “generation of drinkers!” I certainly can’t take credit away from the people who work so hard to actually produce the spirits inside the bottle. What they do is, of course, a thousand times more important than what I do, in terms of what succeeds or fails in the marketplace. Perhaps I’ve helped to influence some purchase decisions, one bottle at a time. Even better if I’ve influenced a few people to be excited by or enjoy the products they have chosen. I do try to make every package design bring as much richness to the drinker’s experience as possible, even after the sale is made. It’s my hope that some of the words and images that I choose go beyond just selling the bottle and also add to the drinker’s deeper understanding and appreciation of what’s in their glass. This is David’s desk. All the bottles you see here are purely related to work projects. When I asked about his “whiskey collection,” he said it would be tough to capture. Like many of us, his personal collection is stashed around in various locations in his kitchen, basement and garage - and much of it is in cardboard boxes for long term storage.